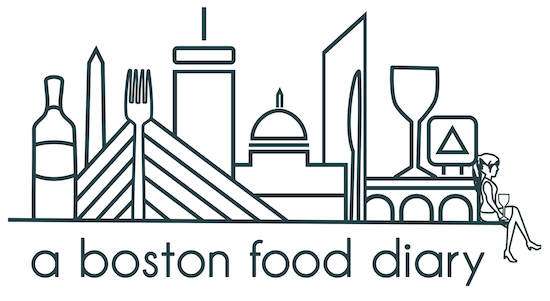 A Boston Food Diary: Healthy Tuna Salad, just in time for Summer! Healthy Tuna Salad, just in time for Summer! The other day I was looking for a healthy lunch, bored with my norm of soup or salad. I knew I had a can of tuna in the cupboard, but did not have any Miracle Whip on hand (yes-I'm a Miracle Whip girl -no mayo for this one). This brought me to a new idea, a tasty tuna salad without Miracle Whip, but that would bind together as a salad, rather than just plain tuna on a piece of bread. Originally I thought of Mustard, but assumed that the amount of mustard I would need to accomplish my goal would end up shadowing all of the other flavors of the salad. But then I saw it- in my cupboard, a can of Garbanzo beans, or Chickpeas as they are also called. Garbanzo Beans are one of those great foods in my opinion- loaded with protein, fiber and zinc along with a bunch of other great vitamins, I consider them a great staple in any diet. Ground into Hummus, added to salads, toasted and served plain, they are just a great little bean. I found a shallot in my fridge along with a bunch of parsley, and decided to blend all the ingredients together, with the addition of a little mustard for a bit of a binding ingredient. I blended everything together in my trusty Cuisinart, which I realize I use FAR too much, and then added just a small amount of salt and pepper for taste. I have to say-this one of the best tuna salads I've had, and completely guilt free. No thoughts of oil or how much is too much Miracle Whip, just plain and simple ingredients. The light onion flavor of the shallot with the mellow parsley and tuna was really delicious. The Garbanzo Beans added a real backbone to the salad and gave a slight nutty flavor, and the Dijon mustard I used lend ed a little spice. Sadly, I neglected to take photos as I was making it, but this will be my new Tuna salad- it will be made again very soon.